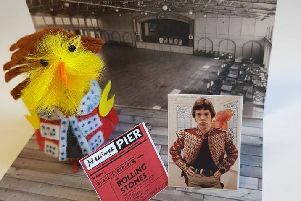 Starting at 11am on Saturday (April 20), the pier has promised free entertainment, an Easter egg hunt and ice creams. There will also be mascots as well as tea, coffee and cake. The ‘grand reopening party’ comes almost three weeks after Hastings Pier reopened to the public on April 1. It had been closed since December 2018 for ‘essential repairs’ following a small fire in November. Last week, pier staff said a life-size statue of a pony was stolen between 6.30pm on Wednesday and 7.30am on Thursday (April 10 to 11). Police have asked anyone with information about the incident to report online or call 101 quoting serial 779 of 11/04.